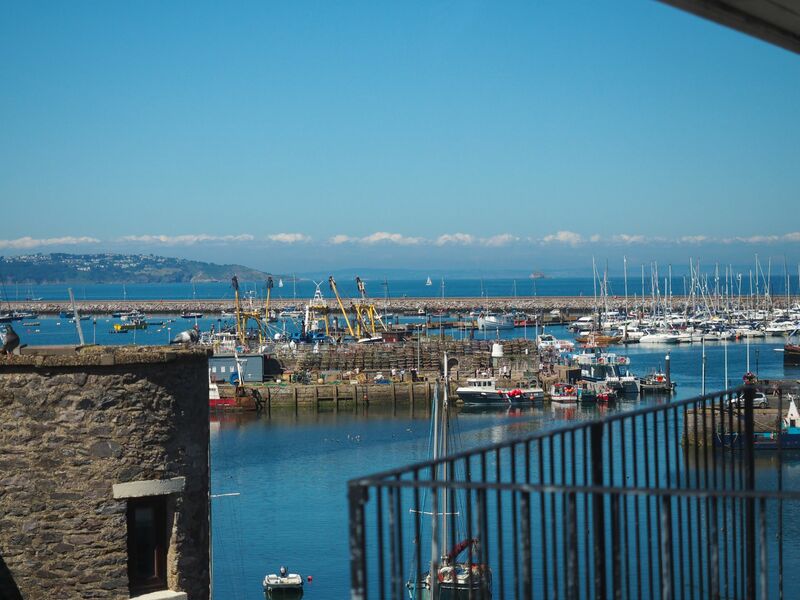 A beautiful 18th century holiday cottage in Brixham with balcony and sea views. 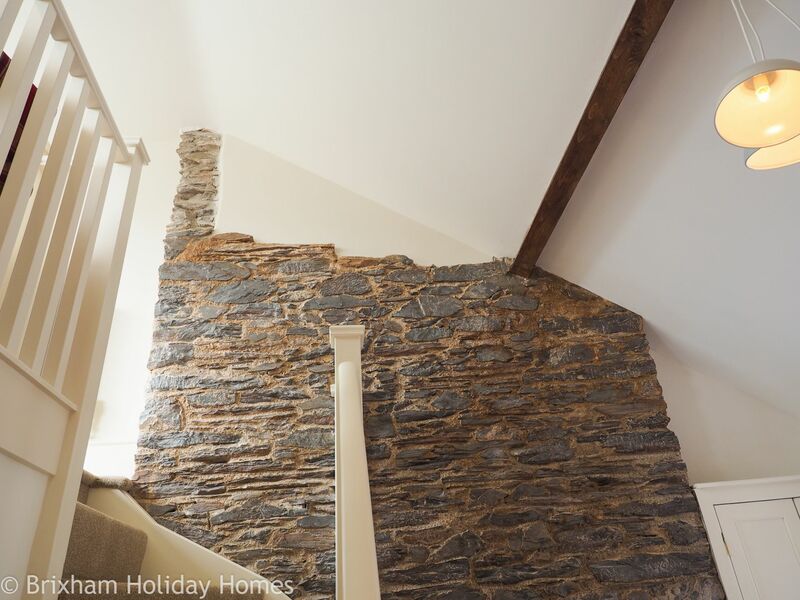 This beautiful cottage has been sensitively and painstakingly restored over the past year. 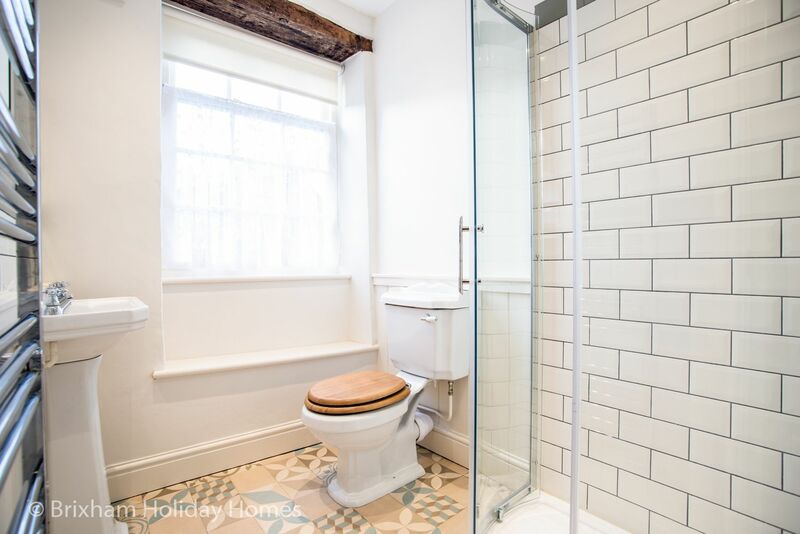 It retains a wealth of original features yet has the benefit of every modern convenience. 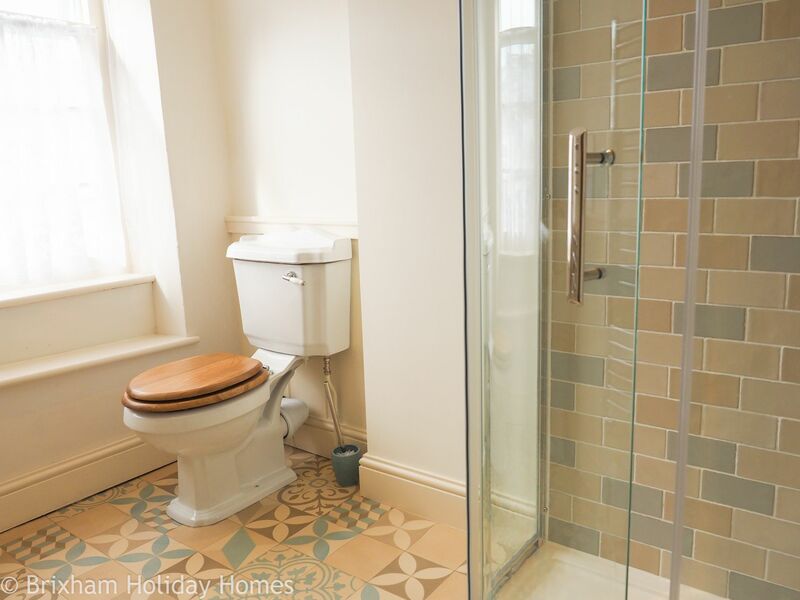 It oozes charm from every corner and has been tastefully furnished and decorated in a bright modern style with no expense spared. 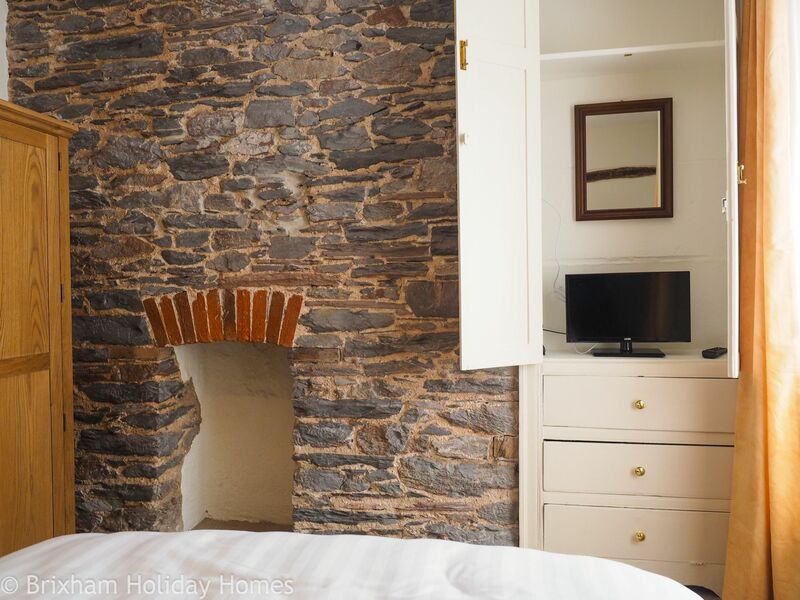 This really is the quintessential Devon harbourside cottage. 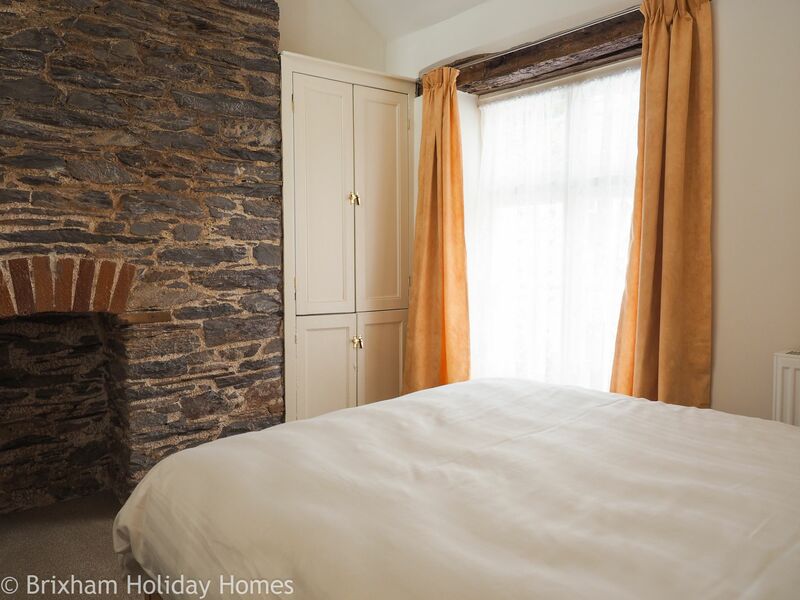 During the refurbishment, it benefited from a total re-wire and the installation of a gas fired central heating - perfect for those cosy winter breaks. 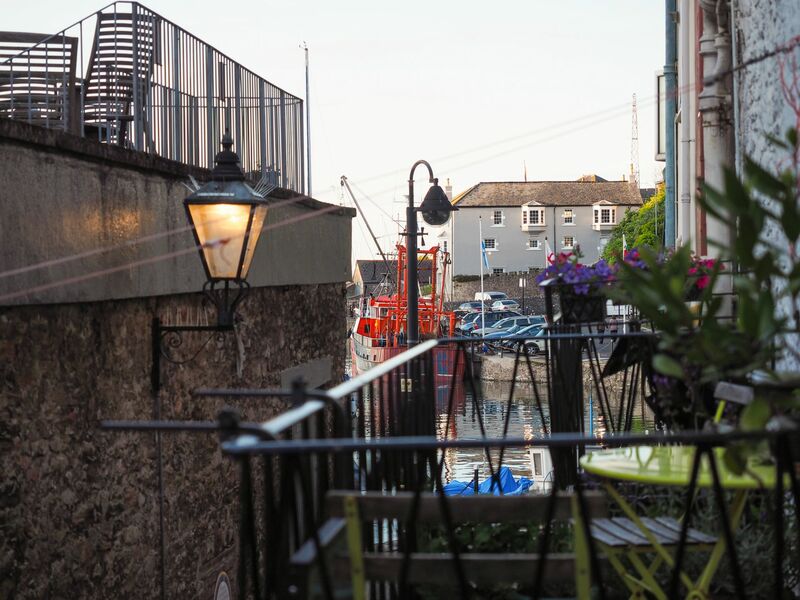 Its central location at the bottom of King Street means you are just steps away from the harbour and the boats in one direction and from the cafes and shops of Fore Street in the other direction. 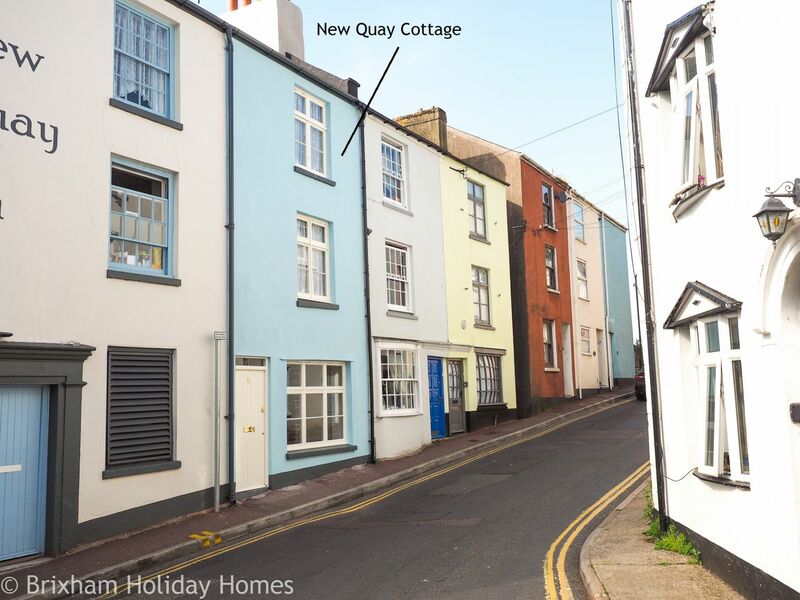 Set over 3 floors and a mezzanine, the entrance door from King Street leads to a ground floor lounge / kitchen / diner with french doors behind the kitchen leading to a balcony overlooking pedestrianised New Quay Lane. A small cellar off the kitchen is a useful storage area. 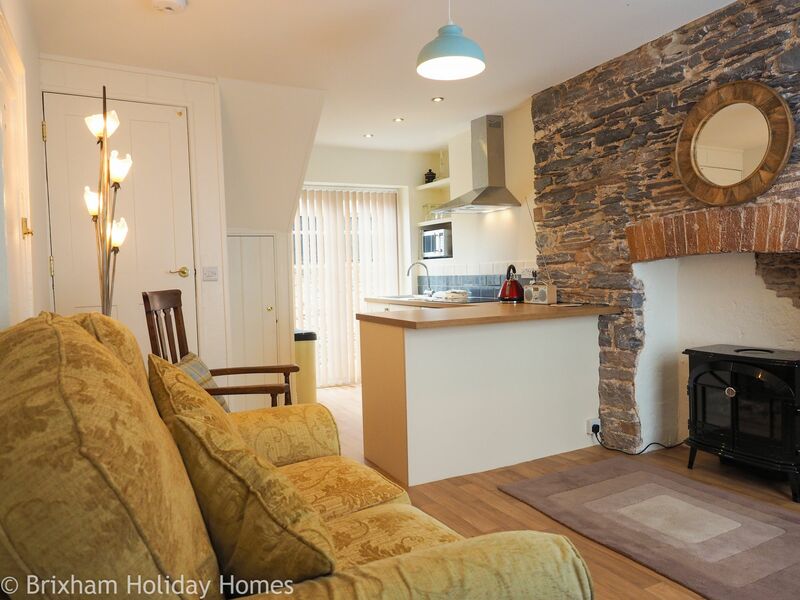 The lounge features a large fireplace complete with flame effect stove and squishy sofa. 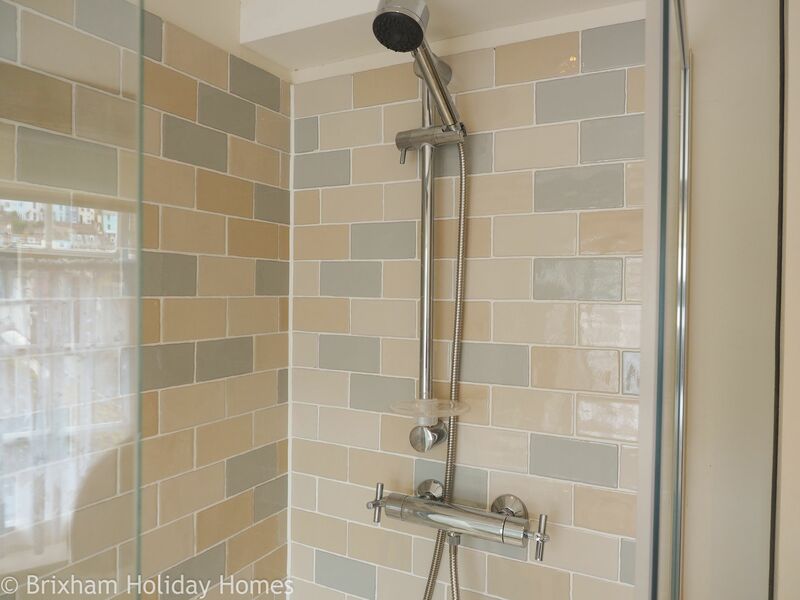 Stairs lead to the 1st floor which includes a shower room with w/c and wash basin and a double bedroom. 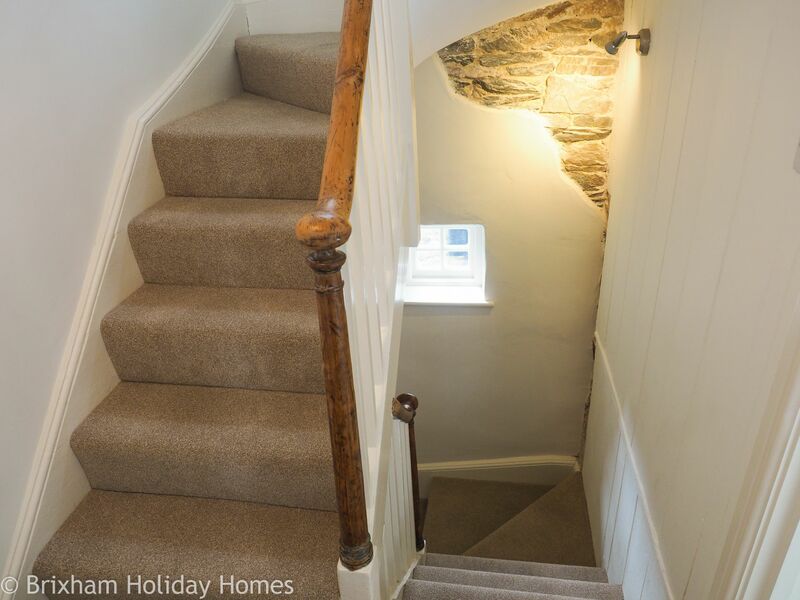 Stairs continue to the 2nd floor which features a shower room with w/c and wash basin and a double bedroom with dramatic high ceilings and mezzanine seating area with views over the rooftops of Brixham and the harbour and Torbay to the right. For more details see the room descriptions tab. 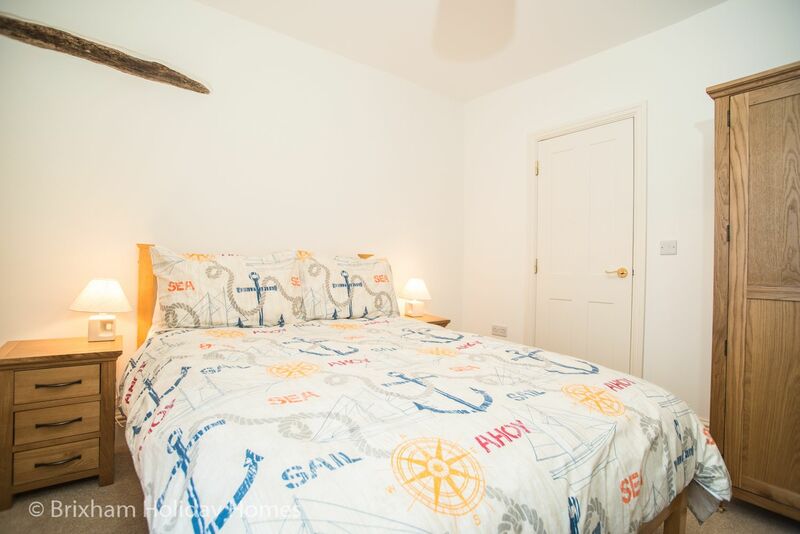 This property is not suitable for infants or children under the age of 5 years. 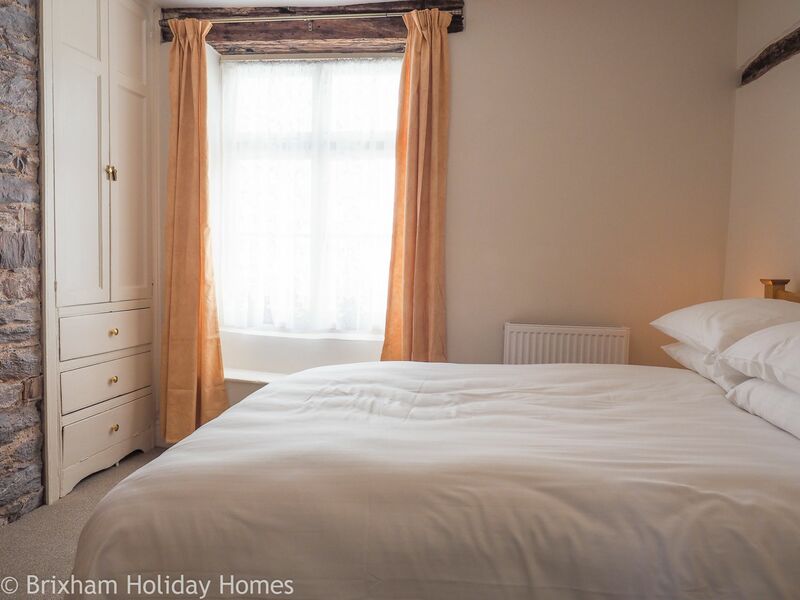 Short breaks of 2 nights or more are available all year. No Smoking & No Pets - sorry Rex! 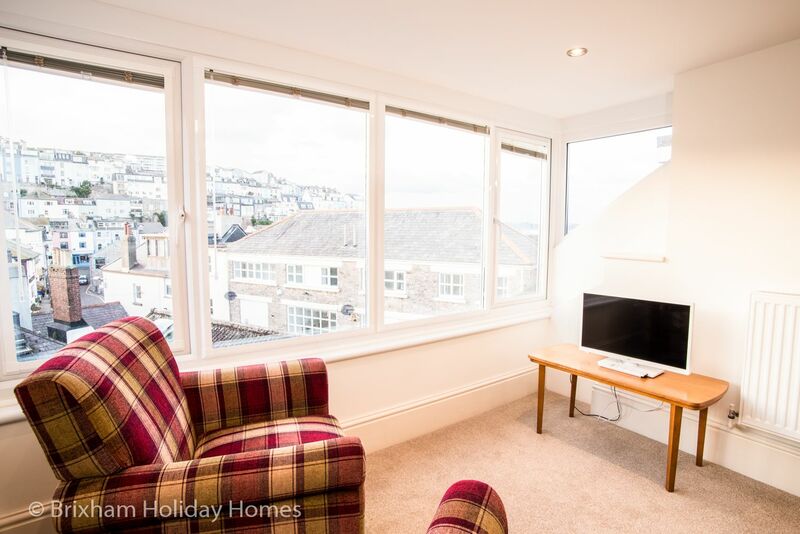 Steve from Brixham Cottages was so incredibly helpful in booking, and promptly provided all the details we needed after booking. 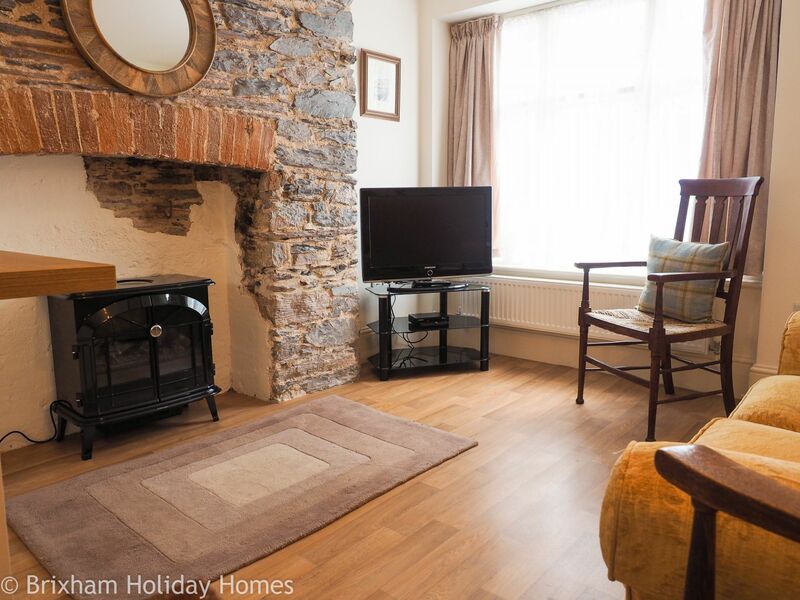 Cottage itself is very well maintained and immaculate inside. Travelling out of season we had the benefit of the parking space and being so close to town was brilliant. Providing milk and tea for our late night arrival was really helpful, all in all great service and great accommodation. This was our second stay at the cottage. We liked it so much when stayed before, that we couldnÂt wait to come back! The cottage has good location. It is right next to the harbour and right around the corner from the start of the town. ItÂs also at the bottom of a hill! An advantage when you are staying in Brixham! 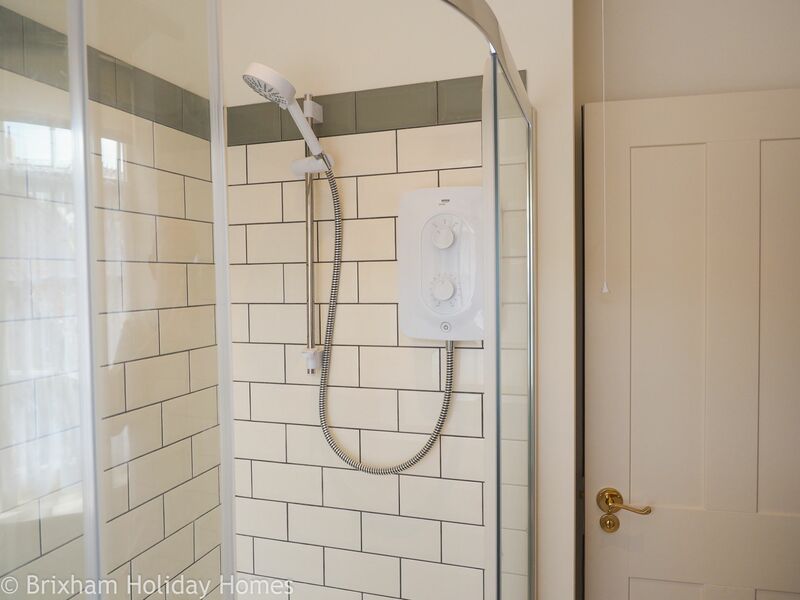 The actual cottage has been attractively modernised. 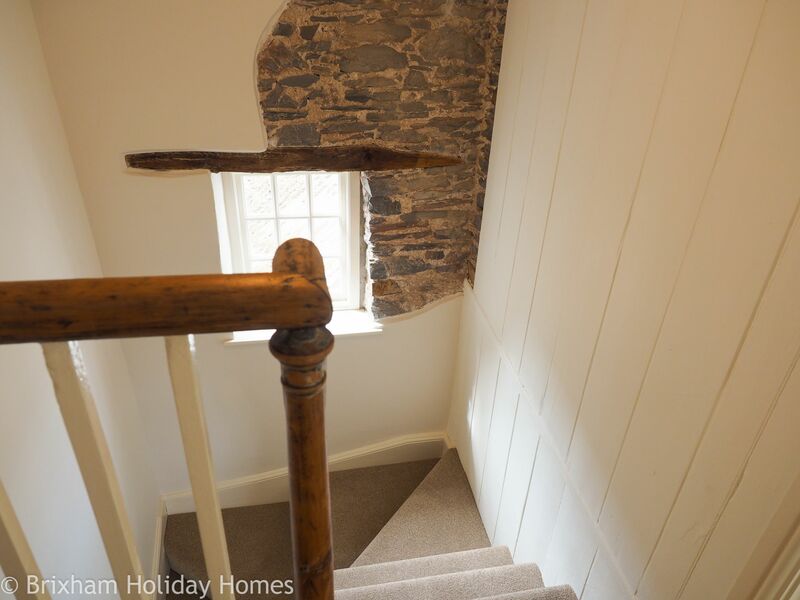 But at the same time has retained some of itÂs original features. 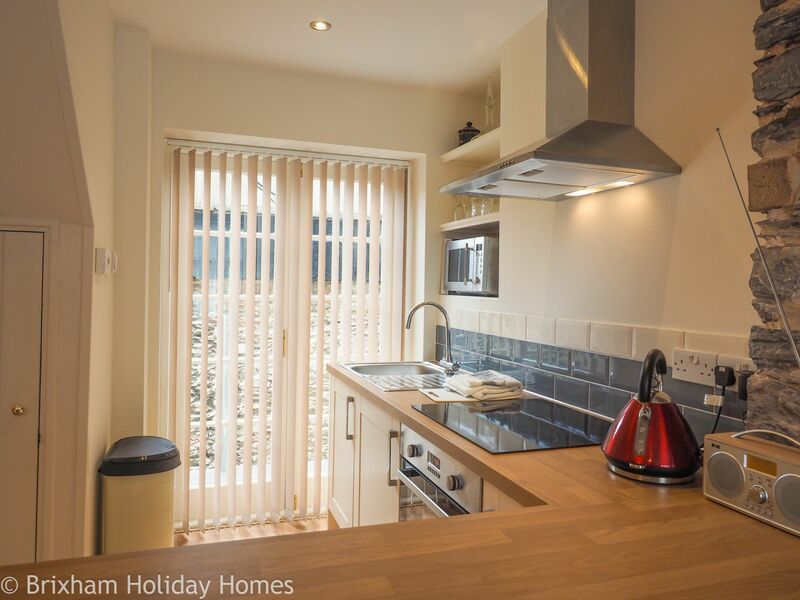 ItÂs very clean and the kitchen is reasonably equipped. However there are a lot of stairs. 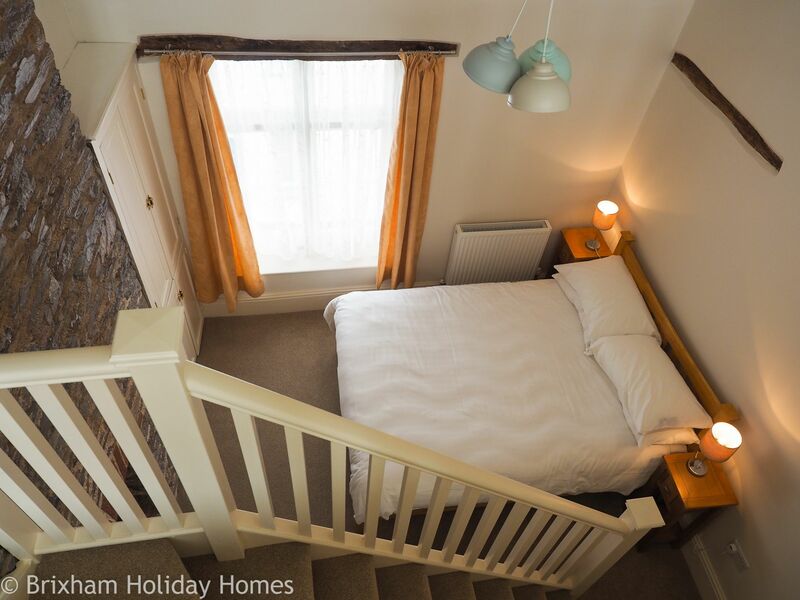 As the bedrooms are on different floors. But each bedroom has a bathroom next door. Which is an advantage when you are staying with a friend like I was. 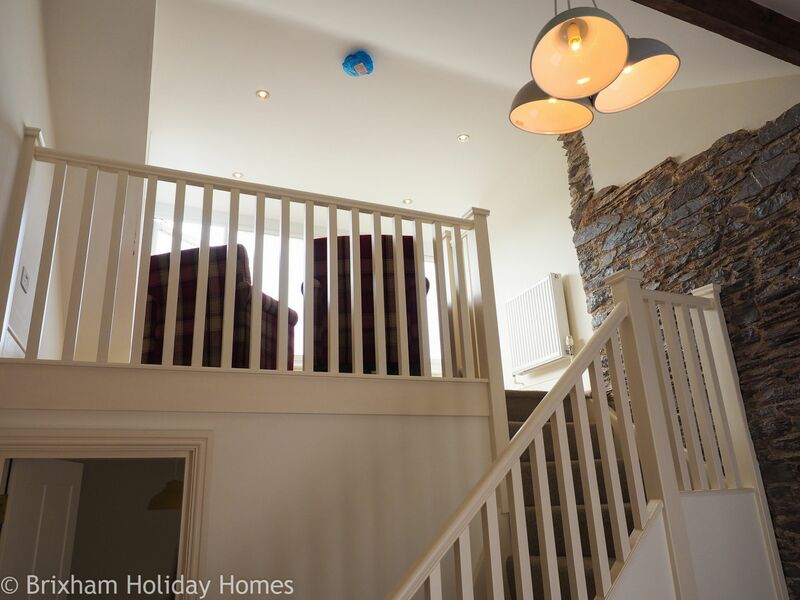 There are also stairs up to a sun room which is accessed via the top bedroom. The stairs didnÂt bother us. But they would be difficult for some people. The Sunroom is lovely. But it can get rather hot during the day. 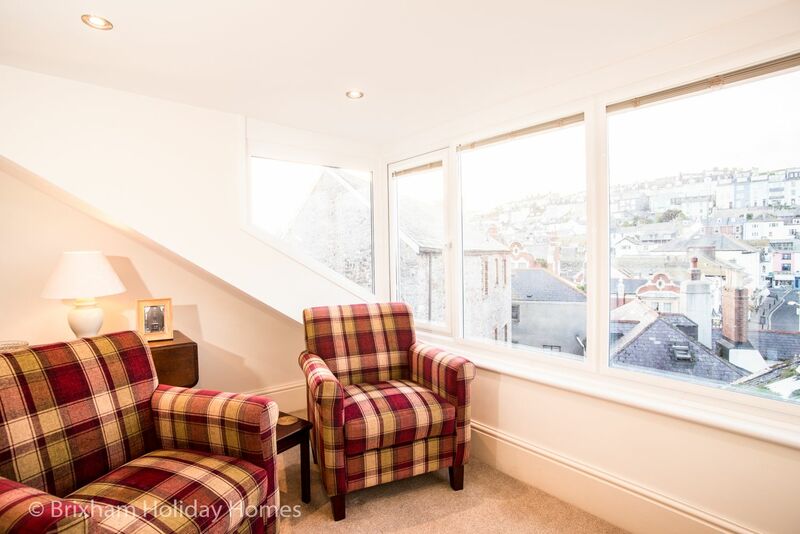 But it has a side view of the harbour and views over the town. 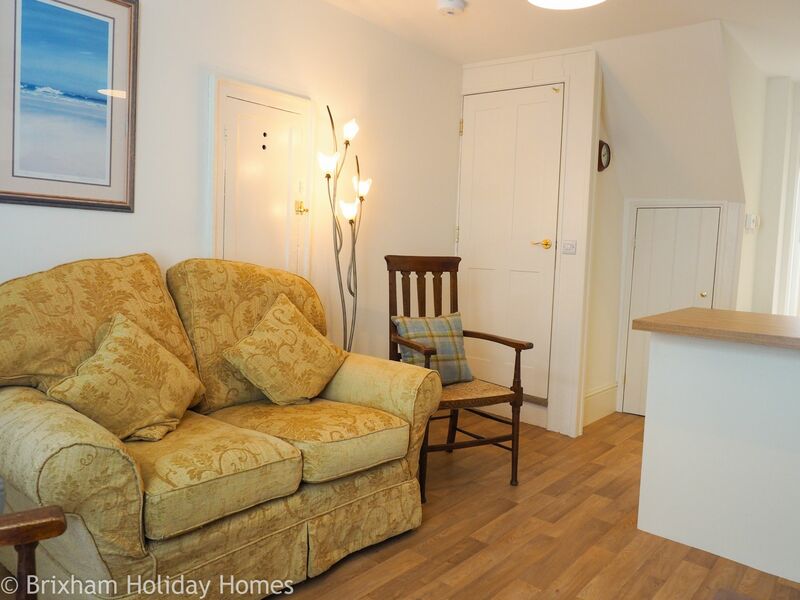 There is also small TV in the room and it is lovely to sit there at night and watch it .The only disappointing aspect is there is no balcony to use so you can sit outside. 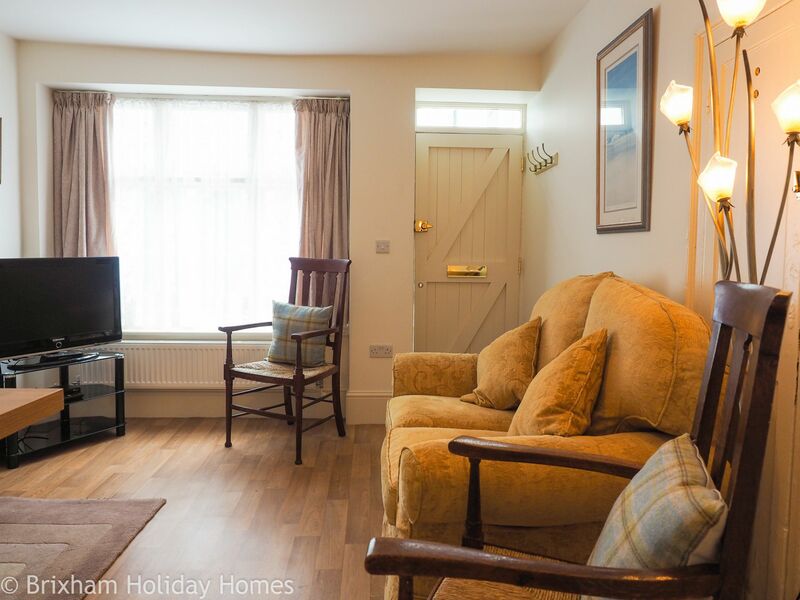 The balcony shown in the picture of the cottage actually belongs to the cottage next door. 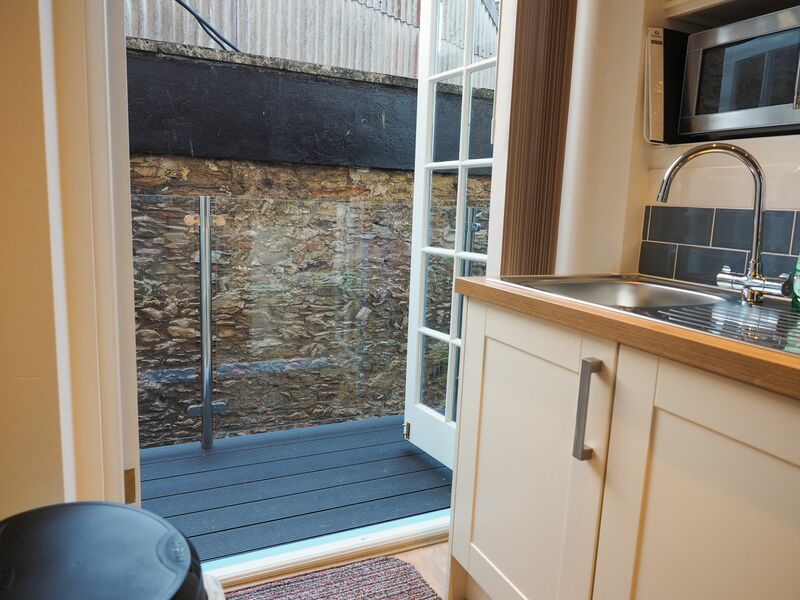 But there is a small balcony off of the kitchen which has a side view of the harbour. 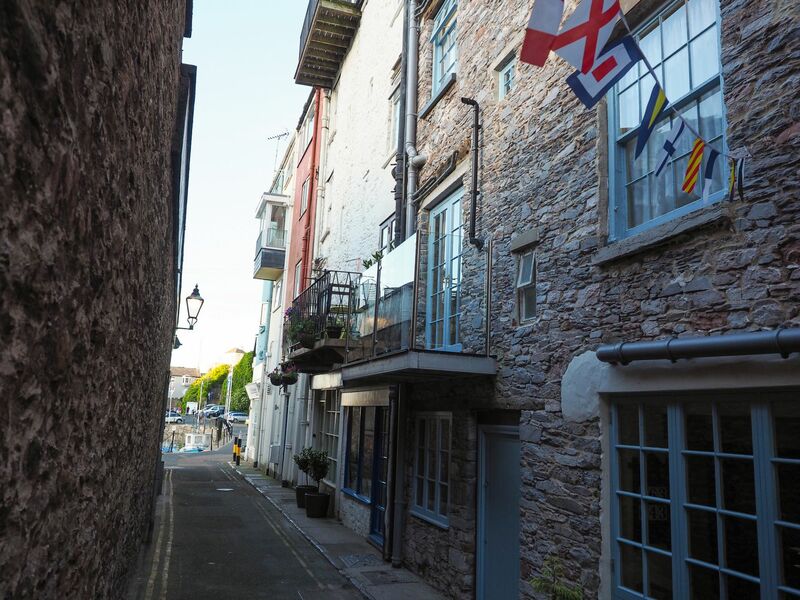 But it does face an alley, which people use a cut through to the harbour. So you can hear their voices. But it was really wasnÂt an issue. However there is one downside to the cottage. It is on a road that can get quite busy. Both bedrooms over look the road. I used some earplugs! So I wasnÂt bothered by it. 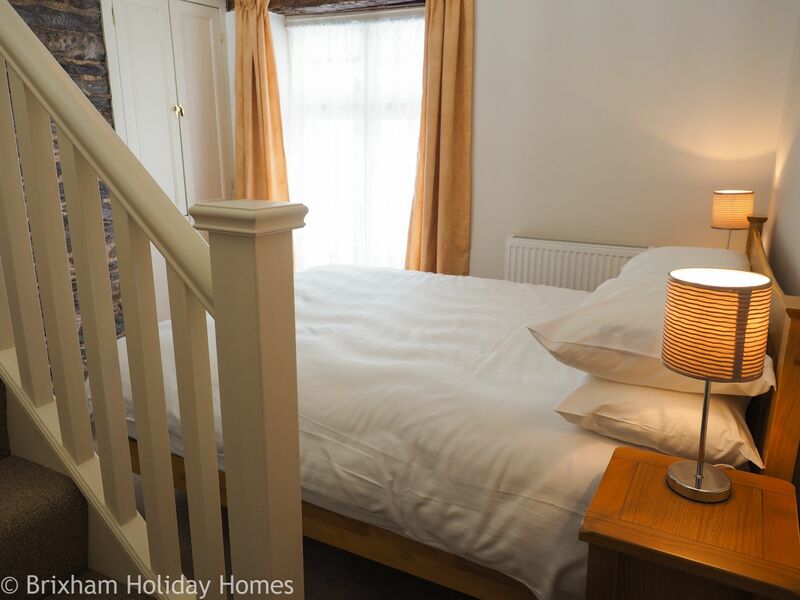 But my friend who was in the lower bedrooms did find it difficult to sleep at times. 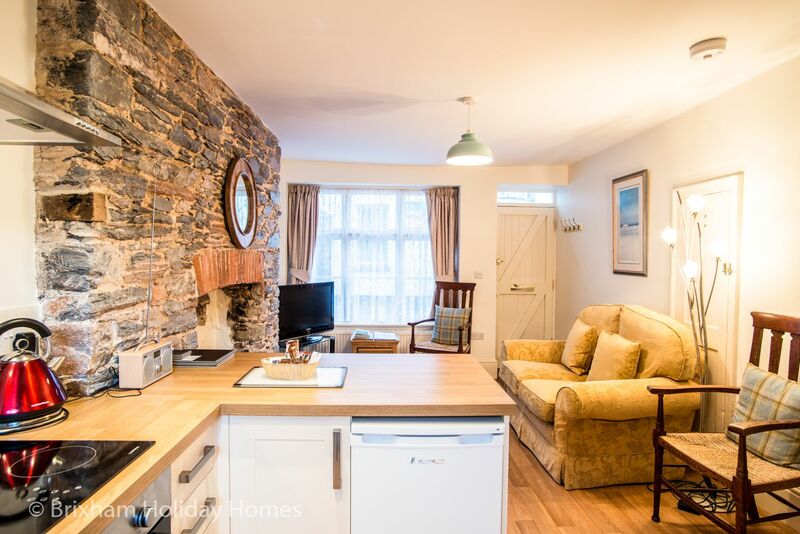 But as I said before it didnÂt put us off booking the cottage for second time and we hope to come back next year! Lovely cottage in Brxham. Very close to the centre. Great place to base yourself for easy access to all amenities. Would recommend. The house was amazing and the views from the top floor lounge were incredible. 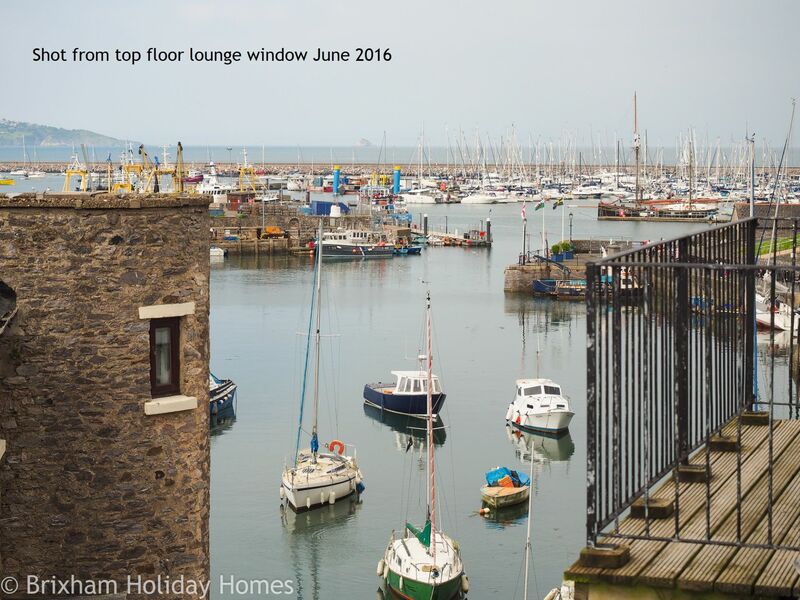 The location is perfect for the amenities of Brixham, would definitely go back again. Plus the stairs keep you fit! !